Tattoo Boy go and see dunno what Korean show. Traitor. 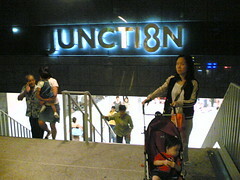 Ok, I like the idea of a Link Bridge from the HDB carpark to Bishan Junction 8 mall, but come on, TWO flights of steps? And NO ramps? Thanks, ah. Obviously, it is not built for the disabled and families with children in mind. 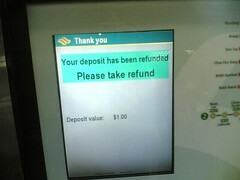 This has to qualify as the most annoying thing about public transport in Singapore... getting the $1 deposit back for the single-trip Ez-link card. Hate it with a vengeance. This is not Isaac being sad. Really. Everytime he gets to this page of the book, where there is a sad cartoon character and the word "Sad", he will show us "Sad". Can win Golden Horse Award for Best Baby Actor, at least, I think. I shudder to think what else this rascal is capable of. Jacen, director of the famous online viral short film, Takgiu, wrote me to tell me about his $12 Takgiu T-shirt. Order and wear it for the 4th June Singapore vs Malaysia match! And Jacen, I'd like to order a Large, please. Thanks. Lemme know how to pay ya. Straits Times never hear of high-traffic anonymous blogs before, issit? Straits Times today... blah blah blah... same out-of-bounds markers...blah blah blah... same laws on defamation... blah blah blah... same restraints as mainstream media... blah blah blah... zzzzz... blah blah blah... crumple crumple crumple... line bird cage. Today, I also started 20 anonymous political blogs just for fun, in fifteen minutes (would have been faster but my computer crashed). Thanks, Diary, for listening to me wax lyrical. Nicholas Liu gets quoted in one of the articles. Loy talks about the articles too, here and here. Eric Miller, a teaching colleague of Bre Pettis, challenged his students to come up with Darth Tater (Mr Potatohead version of the Dark Lord) puns. Every day, a friend of mine, J (not his real name), taunts me on Instant Messaging with the line, "You need a new toy." We are a generation brought up without many toys. I did not say there were no toys for us to play with. There were many on sale. But our parents never bought them for us. Because money was tight, and our parents came from a frugal time, when it was ridiculous to pay a large sum of money for that Six Million Dollar Man figure (the one with the see-through bionic eye). "But M-aa, it is a SIX Million Dollar Man, you know. $50 for a SIX Million Dollar Man is cheap, what! 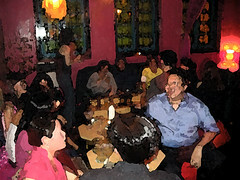 Ma … "
They came, bloggers from all over the island, to meet, chat, and share a few laughs. Nobody planned this. It just happened. Word of mouth spread the news, and many came to hear DJ Slapdash spin. It just happened. 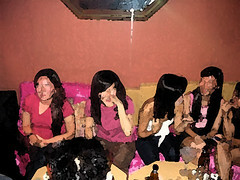 Before long, bloggers who have never met each other offline before, were gathered in groups, talking like long-lost friends. Some even went shoppinng at Wisma after this, because it was open till 1am for the Great Singapore Sale. It was really something to see the faces behind the blogs. It reminded me how wonderful blogging is, in bringing passionate and intelligent people together. And LMD's fans were thrilled to finally meet the mysterious lady (we are not worthy!). Many got to speak to The Architect of Tomorrow, Mr Guru himself (no peace sign when taking pictures with the DJ please!). Daryl aka DJ Slapdash gamely spinned the music despite flying in from Bonn just a few hours ago. Miyagi, sick and bushed from his day, looked spaced out and aloof (but was actually sleepy and tired). The girls finally found out how short he is. 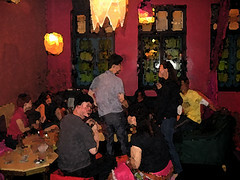 ...and many others (help me out here, if I missed your name, leave me a comment and I will add it here, thanks). Jimmy and yAnn also dropped by (but she was in a hurry to get to Wisma too). One of the Sarongpartyfrens was there too. "I would like to dedicate a song to all my bar flys (sic) and the message is whatever doesn't kill you makes you stronger. party on"
Chicken to come down say chicken lah. What send speech all. And you missed a whole bottle of fine whiskey that Mao Tai generously bought to share with everyone, Cowboy. If you thought the Singapore blogosphere buzzed online, well, they buzz harder offline, man. So much energy, and so many fascinating stories to tell. And the amazing thing is, nobody planned this. It just happened. It was an honour and privilege to meet you all. (I was not sure who was comfortable with their photos being shown, so I made a lot of them Private to Friends only. Those of you who were there and want to see yourself and your newfound buddies, do tell me so I can add you as a Friend and you can see your own photos, and do with your photos as you wish). MysteryTanLines who was responsible for the Ah Beng Architect's speech from Matrix Reloaded, has written his next opus, Episode 3 for the discerning Beng. So Kopi One (is it because he like to go to coffeeshop and shout “Kopi one, uncle! Kay Kopi ok? Kopi one kay kopi!” – actually he can order Kopi kao but Gwai Lang Gone neber teach properly- blame MOE). 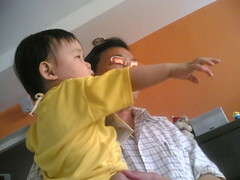 So he fly with Aneekin (in hokkien mean “Wah, so fast” coz he grow up so fast- win the girl growing up speed). So the two jedi fly and fight the lobot to rescue some Minister Xi Dee Us. Actually now he is call Chancellor coz now got chance. I will draw heavy wagons around you tonight. I will station large men in high towers. I will call God to hurl down thunder and lightning. I will speak slowly in a calm voice. I will build large sirens at the gate to our city. I will surround us with barbed wire. I will shine torches in the faces of all who pass by. My eyes will not blink. I will listen carefully to stories concerning the activities of heroes. I will dig deep trenches in firm clay. I will wear armour removed from the shoulders of beetles. My back will be held straight. I will collect wood to be used in the lighting of fires. I will paint bold signs in red paint. I will loose fast dogs to hunt in long grass for intruders. I will ask you not to be afraid. Sometimes, I feel down and tired, like butter spread over too much bread. And I cannot express what I feel. So I found this poem by Frove. And it said what I could not express. Away I go. Laughed. Whispered. Stared. Lied. Shared. Fiction, psychology, Ate. Wrote. Truth. Regret. Batman. Hide! Hide! Hide! Mask. Inner child. Freedom, innovation. One of the gargoyles moved. I'm not the Batman. I'm only a batman. I weigh only a batman. A new place to run. Wow, first time I see the term "browned" in the press. And thank you Razlan. You are too kind. Grandfather of all local blogs, Limpeh Ah Kong, hahaha. "All it takes is one or two of the more popular bloggers to start talking about a certain issue and it will spread to many blogs — whether it's a serious issue or even just something silly." He called the blog run by Mr Lee Kin Mun (www.mrbrown.com) "the grandfather of all local blogs" and said that when he expresses an opinion, it is quickly replicated on many other blogs. Mr Lee, 35, who gives his take on life in Singapore in his blog, has one of thw most widely-read local blogs. The influence of top bloggers is demonstrated most clearly when they link another blog, and the number of hits the linked blog received increases dramatically. 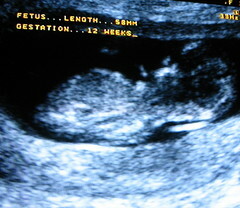 The term "browned" was even coined to refer to blogs that were mentioned on mrbrown.com. Although, aiyah, why must say "top bloggers"? Don't lah, shy lah. Bloggers got grades one meh? Oh, wait. Got. The National Interschool Blogging Championship by the Ministry of Education. That one you can become A*star blogger. Heheh. Rebecca MacKinnon, of Global Voices Online, is tracking posts about Star Wars written by bloggers around the world, and gives me the prize for most original Star Wars viewing photos (and also seen in the Flickr set here). Thank you, thank you. Ok, it's not the Oscars, but Grober leh. Stay tuned for my The Making of brown's Star Wars Premiere Photos documentary. Thanks to Link-hunter Extraordinaire, Lancerlord for the heads-up. Just in case some of you thought I was angery at the piece written about Tomorrow and the Blogger Convention in the Sunday Times, just a clarification. 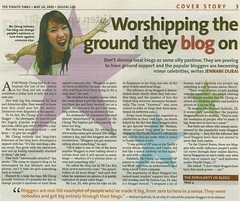 I thought it was one of the best pieces written about bloggers and the blogging scene in Singapore so far. If I sounded cranky in that post, it was probably because I had no sleep almost the whole long weekend, and my ears were ringing from Isaac's crying. So actually, it was my son's fault. Heheh. I should be back to my sweet self soon. Mommy misses all her children, unable to tend to her flock because of her quarantine. She has been using her "solitary confinement" to nap, catch up on her reading, and arrange her wardrobe. Today the kids ate their lunch with minimal fuss. It was a relief to see Isaac eat and drink. I was starting to get worried, because carrying him was like carrying a shadow of his former weight. It took three viewings of Space Dancing by the Wiggles to keep them occupied. Faith is essentially ok, but we are keeping her home until she is no longer contagious. She even danced and giggled at specific songs in the Wiggles 3D cartoon, taking her cues from her "Techno-dancing" little brother. Her brother, in turn, learned how to climb onto the high rattan cabinet from watching his big sister. Update: they got Miyagi's URL wrong again, in his Sunday Times interview. It was listed as myveryownblog, hahaha! He is fated to get his URL misspelled in the press, I tell ya. And the piece on the Blogger Conference and Tomorrow.sg became some Forever Friends thing, and they even quoted my remarks selectively. Brilliant. Hey, where was my condom fasteners remark? Why kena censored? The eyes of Sunday Times readers will become blind from reading the words "condom fasteners" ah? By reading my blog, my friends now know I have an unhealthy interest in condom fasteners, a low alcohol threshold and like to go cheap beer gardens for late night drinks. And they believe everything I write, because they know, I don't make anything up on my blog. So now I have no friends. By reading my blog, my friends now know I have a low alcohol threshold and like to go to cheap beer gardens for late night drinks. And they left out all the funny James remarks too. Maybe they didn't "see the code". "Anyone who pushes this 'bloggers are online diarists' line is either stupid or dishonest." Read the original interview here and compare it with the actual report when it finally came out in the papers (click on the images above). Still, all is not lost. They said some nice things too, and even got the spelling of my name right, no caps. Thanks to Lancerlord for the scan. 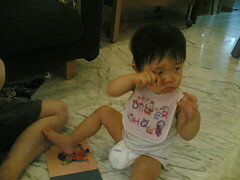 It is almost 2.30am and Isaac has been crying for more than four hours non-stop, since 10pm. His personal record. We discovered the ulcers in his mouth on Saturday afternoon, right after we brought with his 38-degree fever down with meds. And when I saw the small black blisters on his buttocks while changing him, my worst fears were confirmed. We were wondering whether to move Mommy to my in-laws, to keep her away from this contagious situation. But in the end, I confined the wife to the master bedroom, where she spent the day sleeping and opening her boxes with the special clothes. Isaac hardly ate or drank, because the ulcers in his mouth were making him miserable. We tried to cheer him up, Celia and I, by singing to him and letting him watch the Wiggles. We watched at least 3 discs. The Wiggles, which used to work like a charm calming his sister down when she was sick, only worked partially for him. He was soon sticking his finger into his mouth and crying again. Mommy felt helpless, confined to quarters, hearing her son cry and unable to come out to console him. Not that it would have helped anyway. Celia and I already tried everything we could. And it would have been too risky to expose her to him. So I had to chase her back to her room a few times. At about 11pm, my Mom called, while we were dealing with Isaac. I could hear Faith crying in the background. "She is homesick, Mun," my Mom said, "I think you better take her home, no point keeping her here since the boy has it too." So Faith came home after her two-day quarantine at Grandma's, relieved to see her Papa. I carried her to the study let her sleep on the guest bed there, and I lay beside her till she slept. 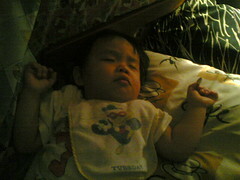 She could not sleep with Mommy, since she was still contagious. And sleeping in Isaac's room was out of the question, since his bawling would keep her awake. At least Faith was getting better and not feeling any discomfort from the sores. I came out to help with Isaac again, once Faith was asleep. She did wake up at around 1am and ran out of the study crying when she did not see me there. It took me less than 10 minutes to put her back to sleep the second time. Isaac's non-stop crying was getting to be a concern. He was going to get a sore throat in the morning if he did not stop, and that would make it even harder for him to eat and drink. We also had to put some medicated oil on his tummy, because he developed wind from the crying. I told Celia we should also give him the Gripe water, remembering what my Mom told me about its usefulness. He seemed to enjoy the sweet taste. I remember liking its taste a lot too when I was a child. It is now 3am. The crying has stopped. I leave Faith's side to check on the boy, and I am pleased to see him asleep from exhaustion. Celia and I sigh with relief. He is even snoring. Time for the two of us to get some shut-eye too.